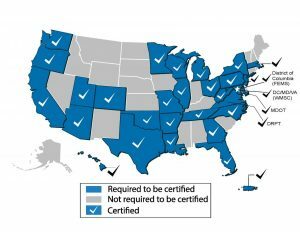 The U.S. Federal Transit Administration has successfully partnered with 30 states with rail transit systems to strengthen and certify 31 State Safety Oversight (SSO) Programs in advance of an important April 15, 2019, safety deadline. 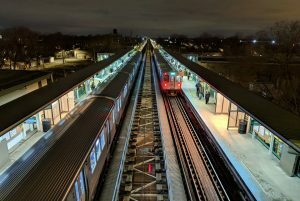 “The hard work of state agencies and our shared commitment to improving the safety of our nation’s rail transit systems has been a driving force to establish stronger state safety oversight,” FTA Acting Administrator Jane Williams said. Changes in Federal public transport law required states to strengthen the oversight of rail transit systems. The SSO Final Rule included the statutorily required three-year compliance deadline. The rule applies to federally funded rail fixed guideway public transportation systems such as heavy rail, light rail, monorail, and streetcar systems. To assist states in meeting the enhanced safety provisions, federal law authorized a formula grant program. Since 2013, FTA has provided approximately USD 136.1 million to eligible states to develop and implement a SSO Programme compliant with federal requirements.